Background Older persons living alone have been associated with poorer health outcomes and higher mortality rate. However, little is known about the drug related problems (DRPs) faced by this population group in Singapore. Objectives This study aims to elucidate the prevalence and type of DRPs associated with older persons living alone. Setting Eleven Senior Activity Centers in Singapore. Method Individuals aged above 55 years, taking at least one oral chronic medication and living in the housing estate served by the Senior Activity Centers were recruited to participate in an individual interviewer-administered cross-sectional survey. Those who were unable to comprehend the survey or communicate their responses fully were excluded. DRPs were identified by the interviewers and reported using a modified DOCUMENT system. Main outcome measure The main outcome measure was the difference in prevalence and types of DRPs between survey participants with different living arrangements. Results Among 360 respondents, 152 (42.2%) were older persons living alone. A higher prevalence (61.2% vs. 47.6%, adjusted OR = 1.86 [1.12–3.10], p = 0.016) and mean number of DRPs (1.23 ± 1.4 vs. 0.95 ± 1.33, p = 0.018) were observed among older persons living alone in comparison with those who were not living alone. Specifically, those living alone were more likely to have DRP related to the category ‘Taking too little’ (adjusted OR = 2.32 [1.28–4.20], p = 0.006) and which involved the use of HMG-CoA reductase inhibitors (adjusted OR = 2.78 [1.16–6.69], p = 0.022). Conclusion Besides having a significantly higher prevalence of DRP, older persons living alone were more likely to be non-adherent to their medications, particularly statins. Targeted interventions to reduce these DRPs and ensure appropriate management of chronic conditions should be derived, especially for those who lack the ability to help themselves. Fengzhu Ang, Jing En Pau, En Wei Koh, Nicholas Kwan Liang Loh, Weini Yeoh, Joshua Weiguang Liang were affiliated with the Department of Pharmacy, National University of Singapore during the period of the project. The authors would like to thank all the administrators in-charge and staff of the participating SACs who have provided assistance in subject recruitment. This study did not receive any external funding. All funding for the study were from the Final Year Project (FYP) Funds provided by the Department of Pharmacy at the National University of Singapore. Kang SH, Tan ES, Yap MT. National survey of senior citizens. Institute of Policy Studies. https://www.msf.gov.sg/publications/Pages/National-Survey-of-Senior-Citizens-2011.aspx (2011). Last accessed 5 Dec 2018. National Council of Social Service. Impact Report for Seniors Activity Centres Singapore. https://www.ncss.gov.sg/NCSS/media/Website-Images/Capability%20building/Impact-Report-For-Seniors-Activity-Centres-(June-2013)-1.pdf (2013). Last accessed 5 Dec 2018. Ministry of Social and Family Development. Singapore social statistics in brief. https://www.msf.gov.sg/research-and-data/Research-and-Statistics/Pages/Singapore-Social-Statistics-In-Brief.aspx (2015). Last accessed 5 Dec 2018. Raosoft. Sample size calculator. http://www.raosoft.com/samplesize.html?nosurvey. Last accessed 5 Dec 2018. World Health Organization (WHO), Collaborating Centre for Drug Statistics Methodology. ATC/DDD index. http://www.whocc.no/atc_ddd_index/ (2015). Cited 29 Dec 2015. Lexicomp® Online [Internet]. Lexi-Comp, Inc. http://www.wolterskluwercdi.com/lexicomp-online/. Cited 29 Dec 2015. American Association of Clinical Endocrinologists. Guidelines for management of dyslipidemia and prevention of atherosclerosis. 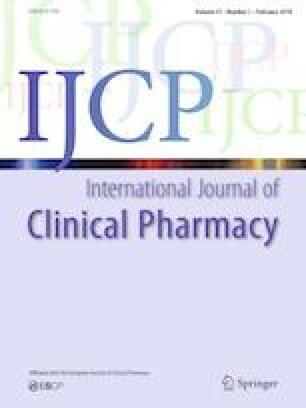 https://www.aace.com/files/lipid-guidelines.pdf (2012). Cited 29 Dec 2015.